In this week’s blog, we’re continuing on with our day in the life of Northern Ballet. This time, we travelled to meet Northern Ballet’s Technical Director Steve Wilkins at their warehouse. Northern Ballet’s technical team brings their creative vision to life; they’re responsible for stage management, set builds, lighting, sound, props and finally, pyrotechnics! 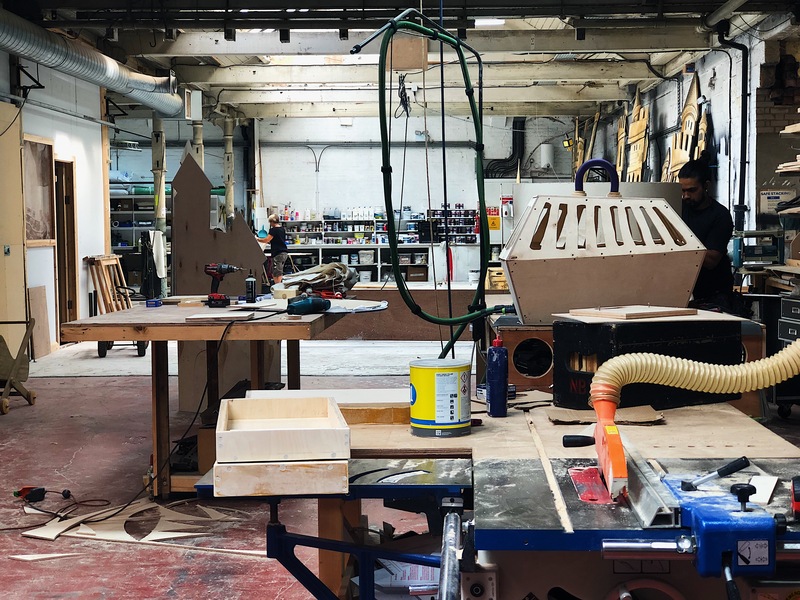 The intricate production and manufacturing of these systems is led by Steve ‘Wilky’ Wilkins, who has been with Northern Ballet for a lengthy ten years so far. We couldn’t wait to learn more from him. Upon entering, it was clear that everyone was hard at work. First up was the electrics department. Wilky mentions that everything to do with lighting and sound is configured and built here. “There’s two full-time staff and one seasonal staff member working in this department.” They also have a team of 4 electricians at each venue, to tackle any issues mid-show. Pointing out towards the trailers visible through the entrance, Wilky mentions how he has “six trailers going out for the tour this summer. We just use these to transport everything we need for the show. There’s always at least three to four per show.” Judging by the size of the trailers, that’s a lot of equipment per show! We follow Wilky through into a separate room, and the first thing that struck me was the incomprehensible amount of electronics and cabling. We’re told that this is the ‘visualisation’ area. “It’s not set up yet, but here we can plug in a computer and a screen and we can pre-program and test our lighting rigs without the need for a full stage setup. This saves tons of time for us.” Currently, the team is working on the preliminary planning for the 50th anniversary season in 2020 – that’s a lot of forward planning! Next, we’re led into the ‘clean room’. 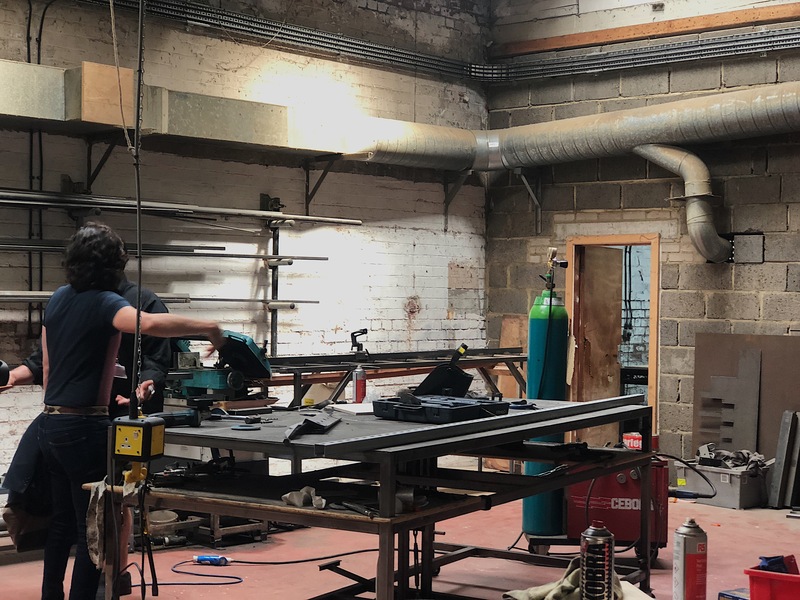 Wilky tells us that this room is “a cleaner area for us to prepare the lights.” This area is useful for the team as they need a de-cluttered space to be able to correctly wire everything up without other objects or dust and dirt getting in the way. Before we left the department, we had one final question for Wilky; we wanted to know what order they prefer to construct the stage set-ups in. 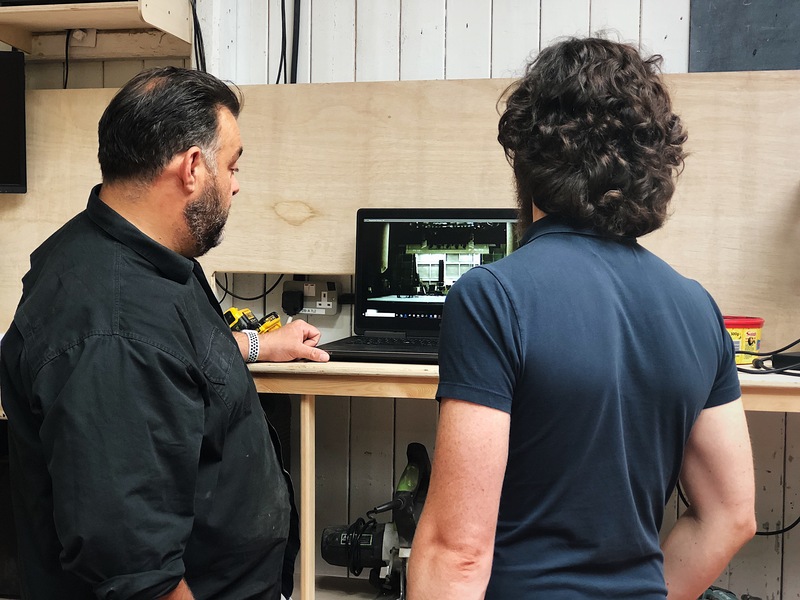 Wilky tells us, “we generally get the floor down first and then work together to attach and secure the lighting rigs, and everything else follows on from that”. 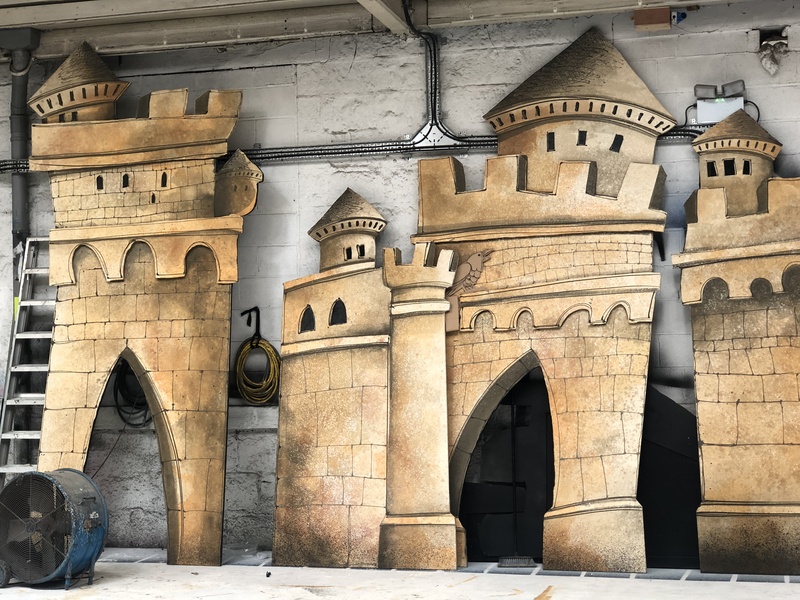 As we make our way across the courtyard, into another vast building, we enter another warehouse – where stage sets are being constructed and backdrop designs are being hand painted. Our artistic nature means we can’t help but be incredibly excited by the set backdrop for the production ‘Puss in Boots’. Ali Allen – Artistic Design, shows us what she has been working on and we absolutely love seeing behind the scenes of the studio. How Ali brings a simple piece of ply board to life with her artistic talents is incredible! Just as with all of the different departments we’ve visited, we’re blown away by the amount of work that goes into each production. How each department acts as an equally important cog within a wider mechanism that beautifully works in synchronicity, just as in the ballet performances themselves. We’re really grateful for the amazing opportunity to experience Northern Ballet, and we hope you’ve found our journey just as interesting as we have, Fazendeiros.